Article by Doug Chaltry; last updated 31 October 2007. One of my most wanted Sherman variants, this kit follows in the tradition of the previous Sherman kits from this manufacturer. 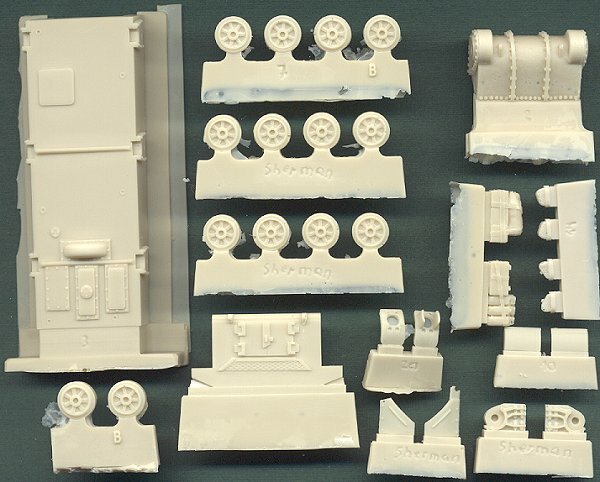 It is a conversion set, designed to be used with the Italeri (ESCI) M4A1 Sherman plastic kit. 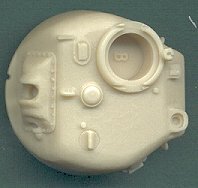 The bogie suspensions, tracks and some smaller details are meant to be used from the plastic kit, with the remainder provided in resin. As is typical with the MR Models kits, the master parts for this model are some of the best I have ever seen, with the same problem with air bubbles in the resin as mentioned in previous reviews. Two styles of mantlet are included, as are some stowage items. The hull and turret are the best ones made in this scale. All hatches are open, though they need to be drilled down a little more in order to fit in figures. 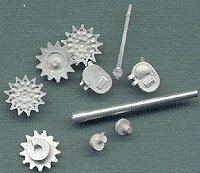 Some of the parts are provided in cast metal, such as sprocket wheels and hatches, and the 75mm gun barrel is a beautiful turned-aluminum piece. 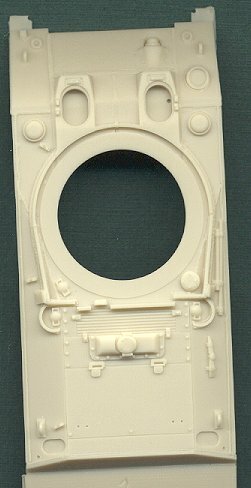 All of these parts are very well detailed and cast. This Sherman series from MR Models is one of the finest series of kits available to us. I look forward to seeing their future projects.